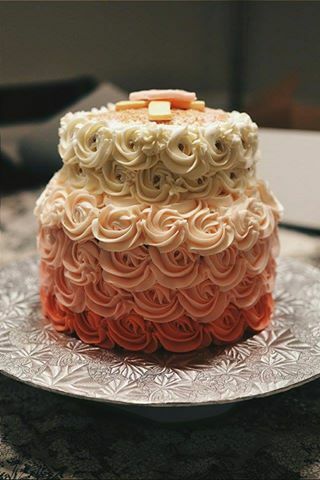 Here’s my other cake I made yesterday – a pink rose ombre cake. 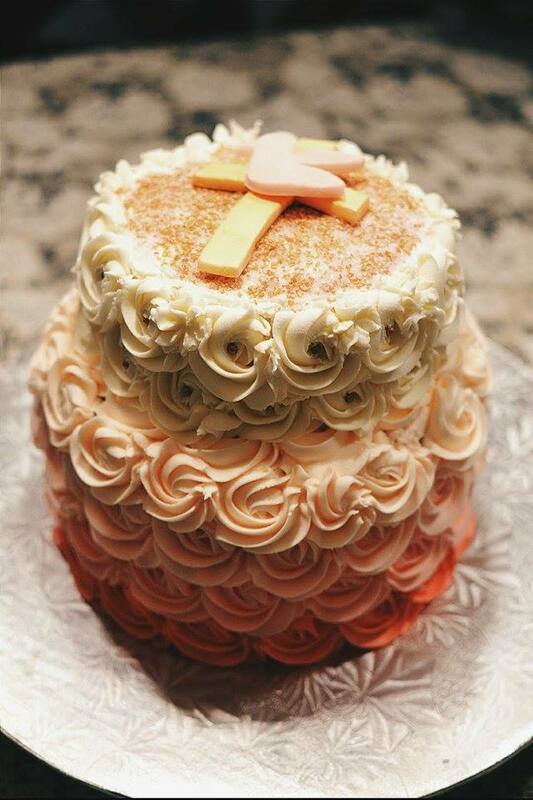 If you haven’t seen my blue ombre cake I also made, feel free to check it out! 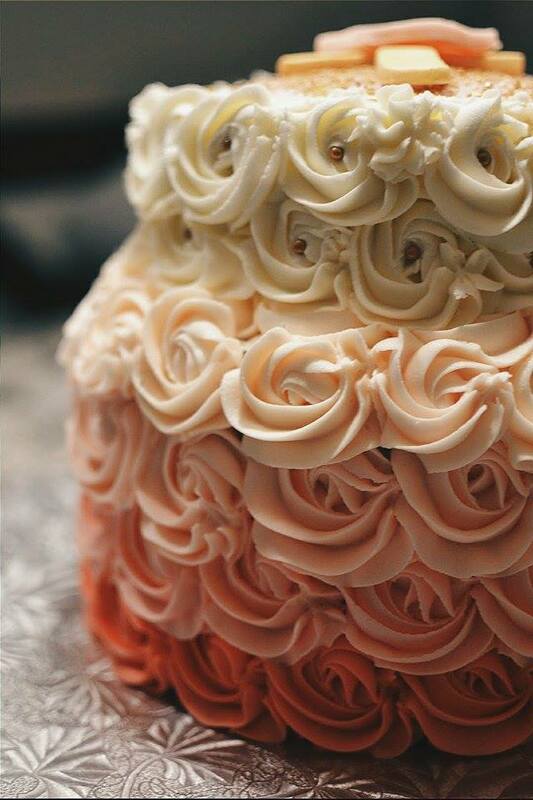 This was another really simple cake to make – 4 layers of red velvet on the bottom, with 2 layers of red velvet on the top. 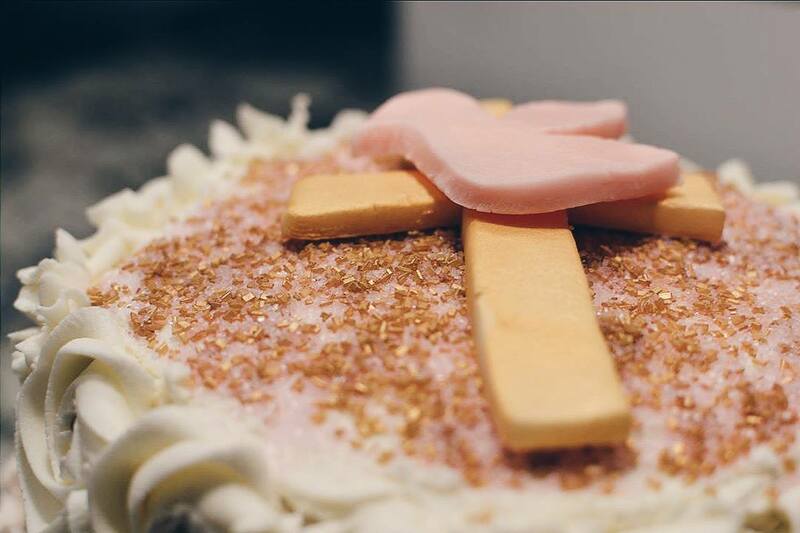 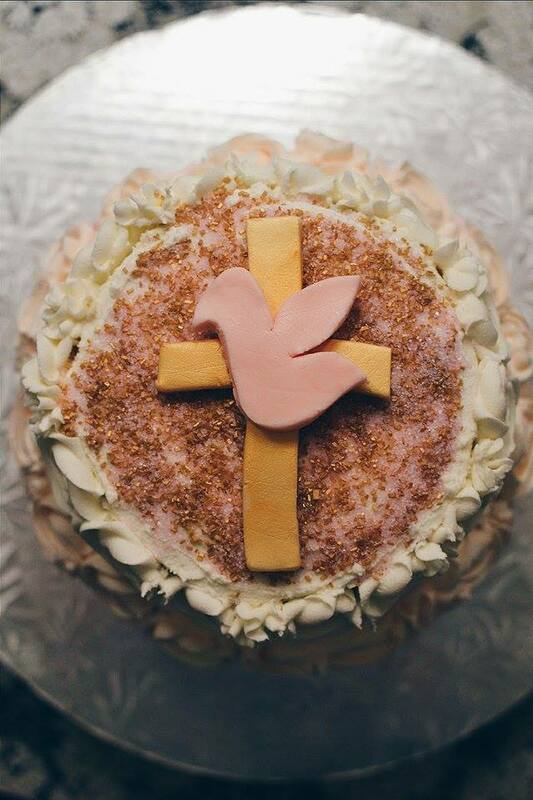 Decorated with buttercream, and then gold and pink sprinkles on the top with a cross/dove made out of fondant.